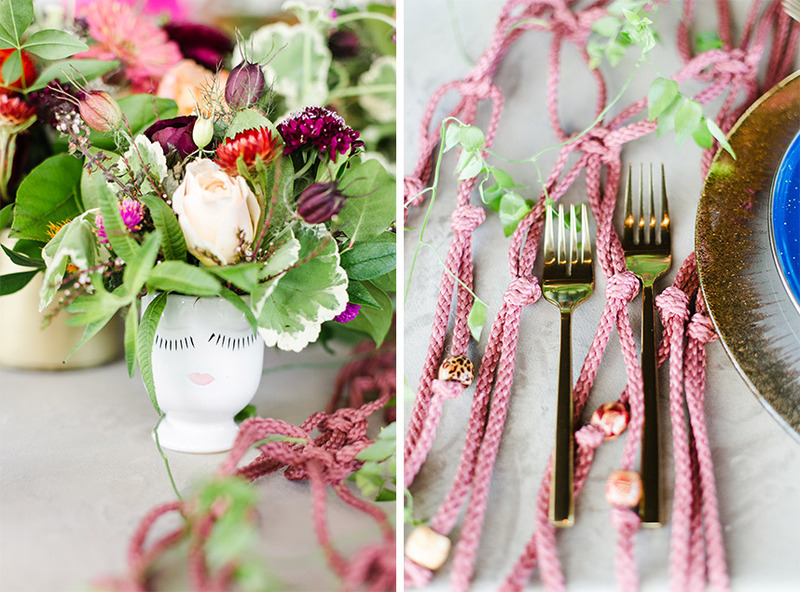 Camden with Emerson Events is truly a master of all things feminine, and her gorgeous wedding designs never cease to amaze us with their unique takes on current trends. 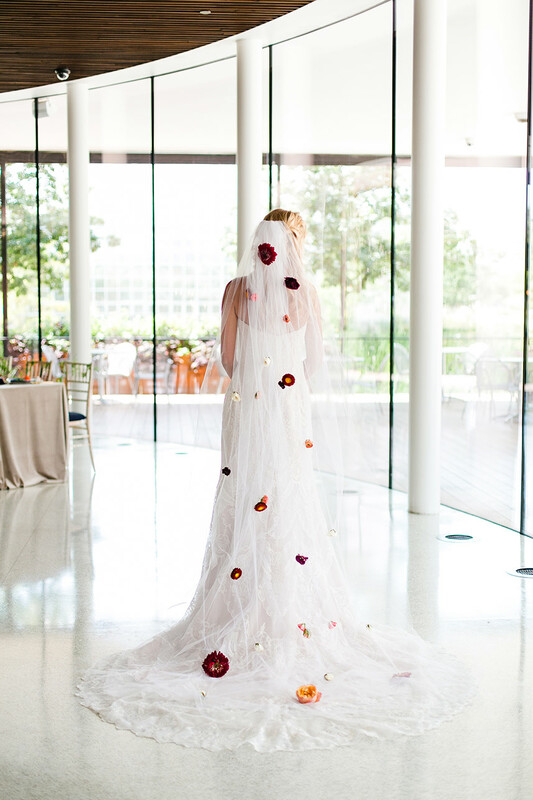 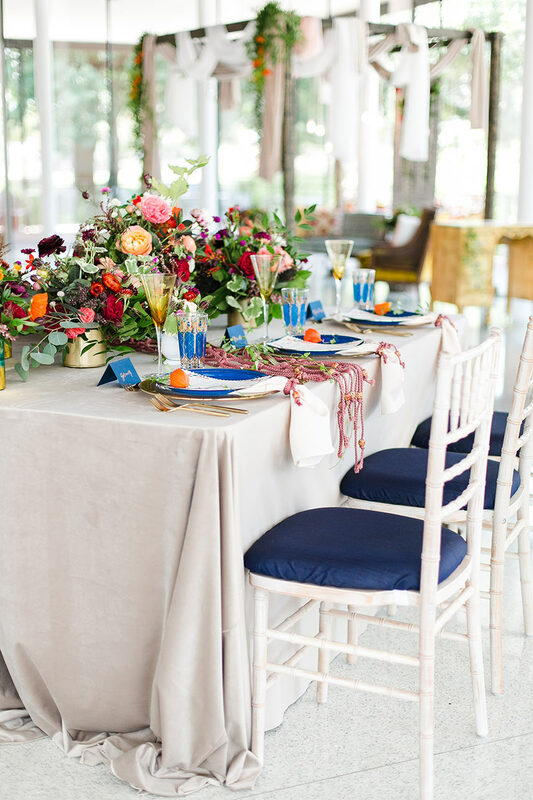 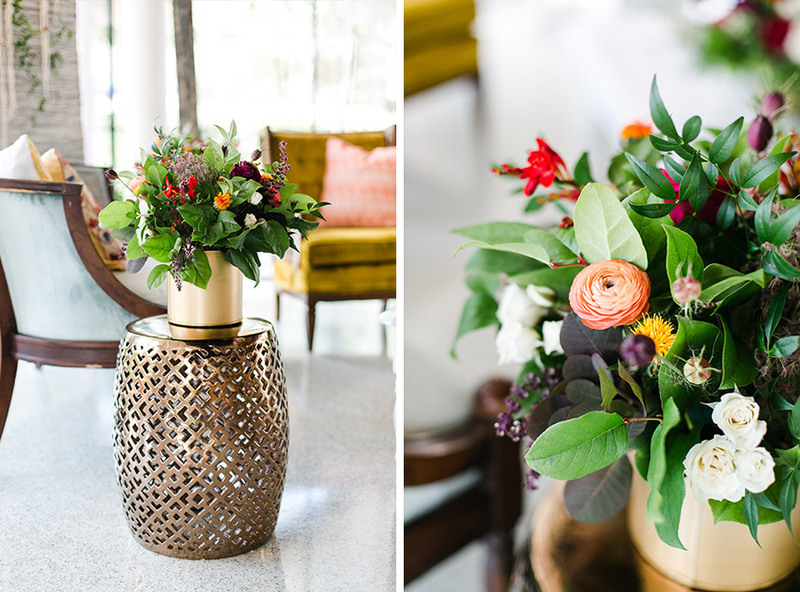 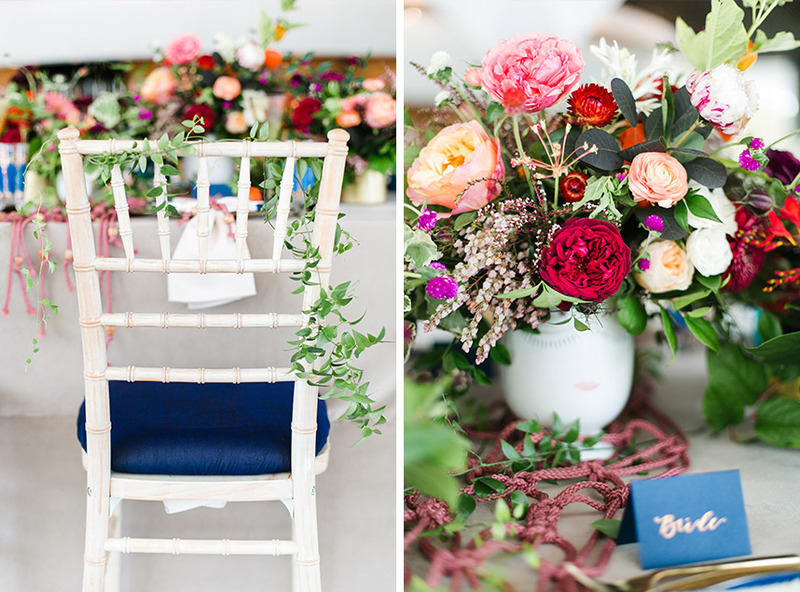 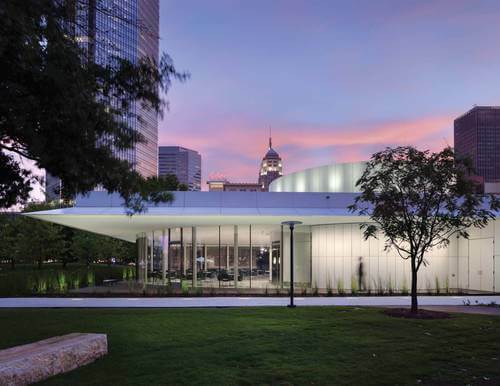 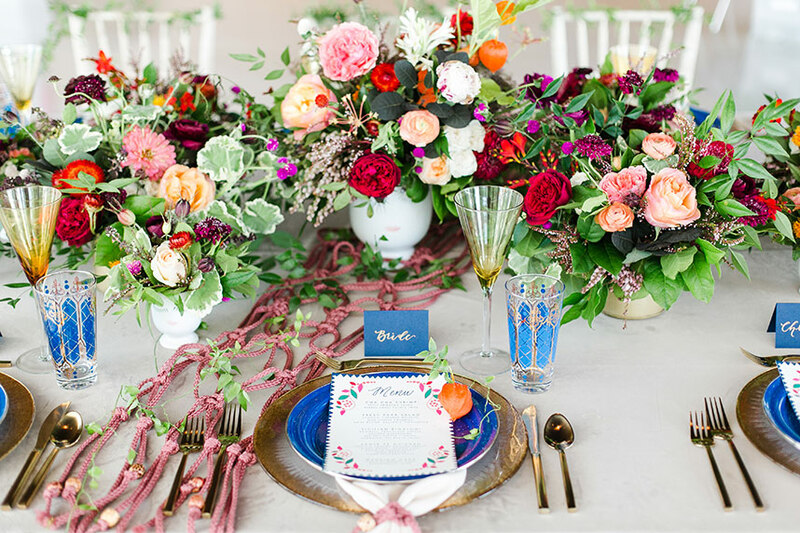 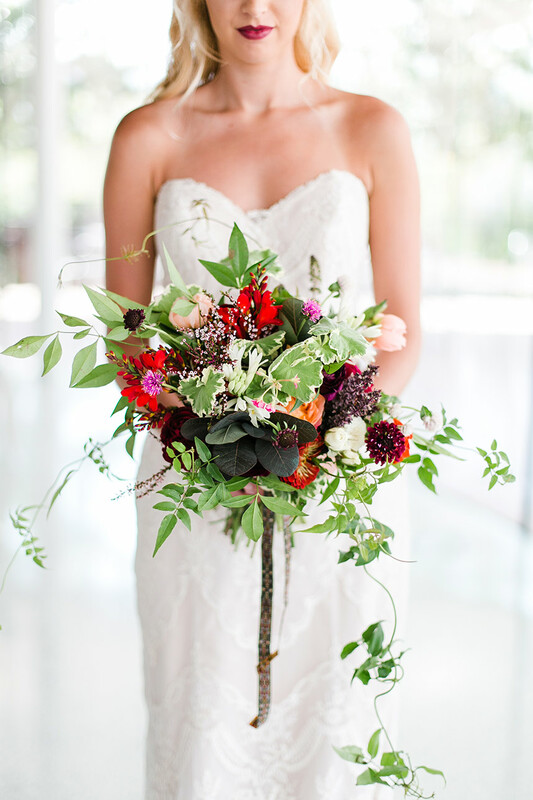 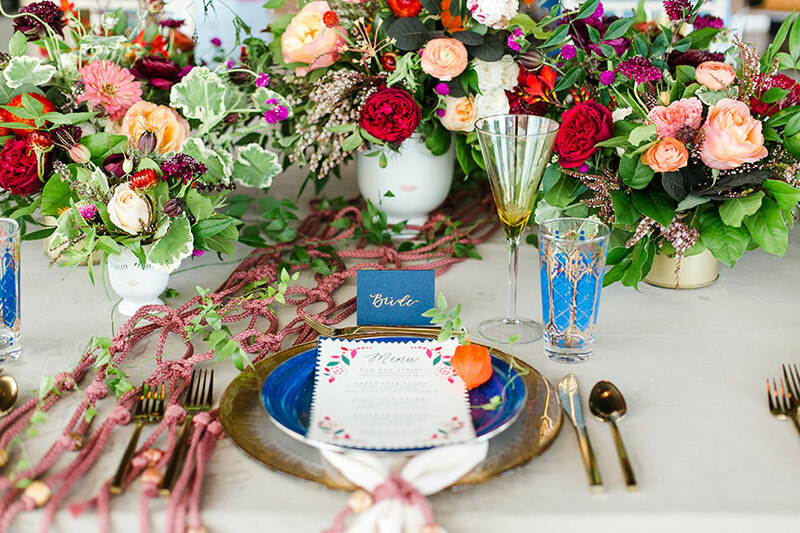 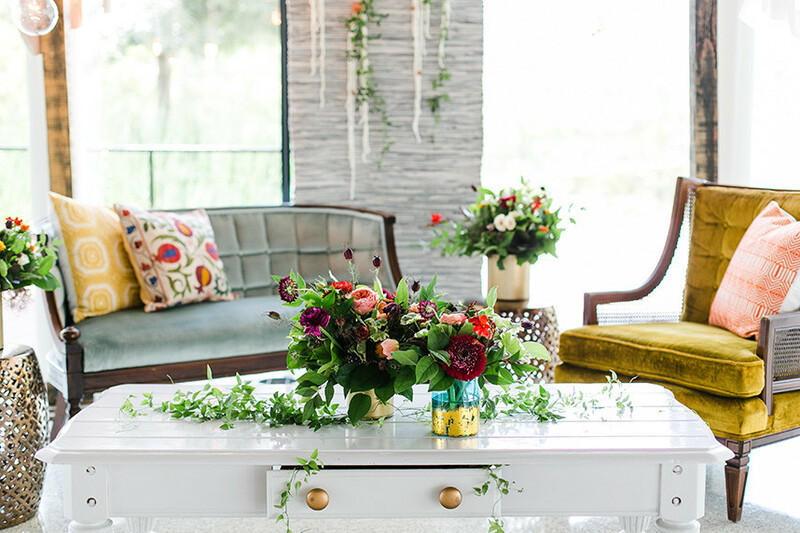 This Feminine Folk styled shoot featured in the 10th Anniversary Issue is filled to the brim with deep blues and rich reds, vibrant floral details and ornate place setting pieces shot at the bright white industrial setting of Park House at Myriad Gardens. 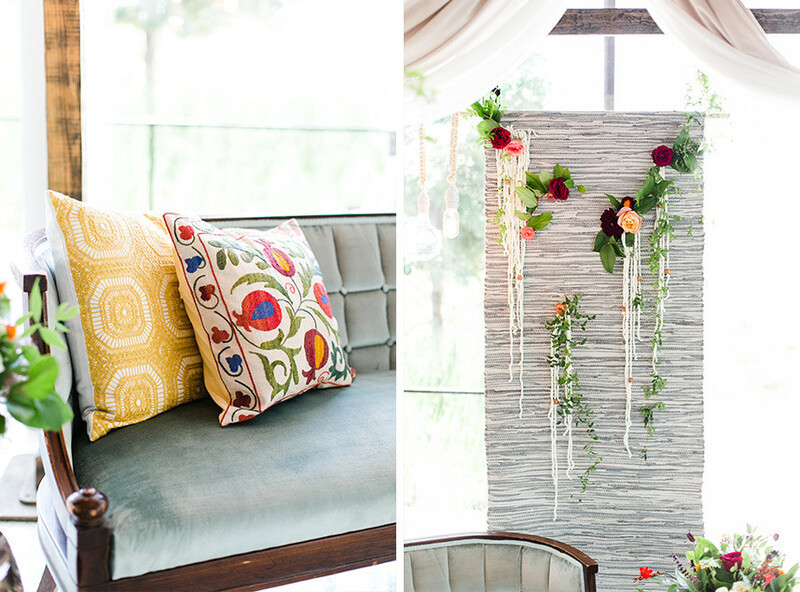 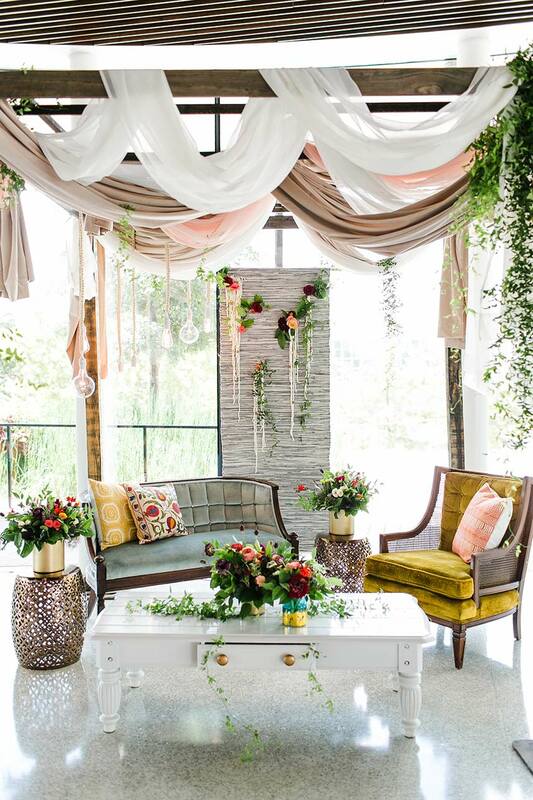 One of our favorite vignettes – the lounge – incorporated suspended bulb lighting through a fabric and floral draped pergola, both from Marianne’s Rentals, over spot-on vintage furniture in mustard and smoke blue from Ruby’s Vintage Rentals. 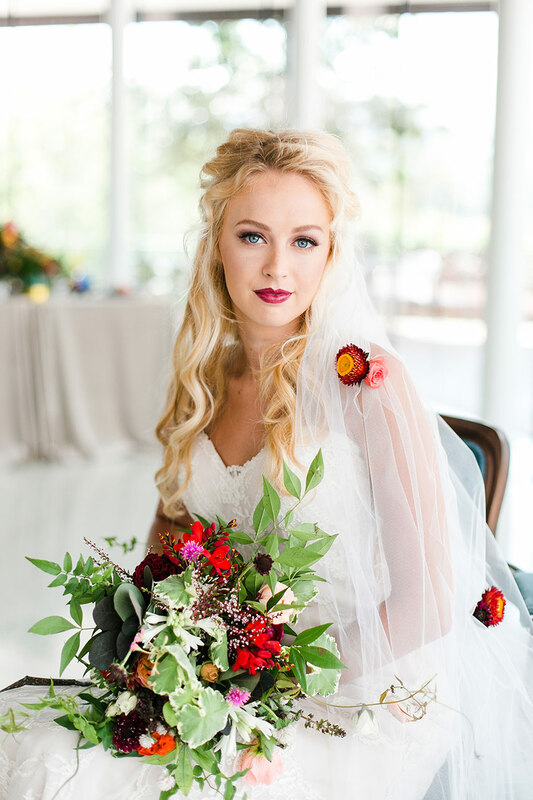 The model bride fit the scene perfectly in an detailed lace gown from Moliere Bridal with romantic hair and makeup by Malorie Avaline – Beauty Unveiled and jewels from Naifeh Fine Jewelry. 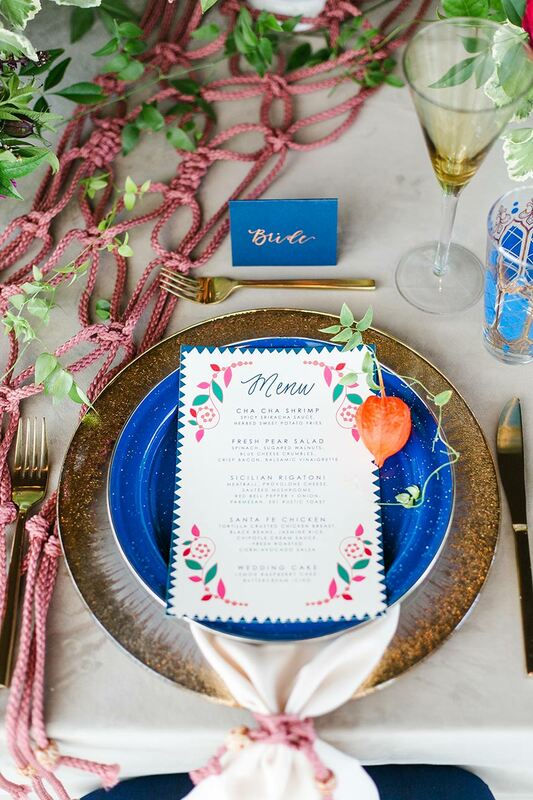 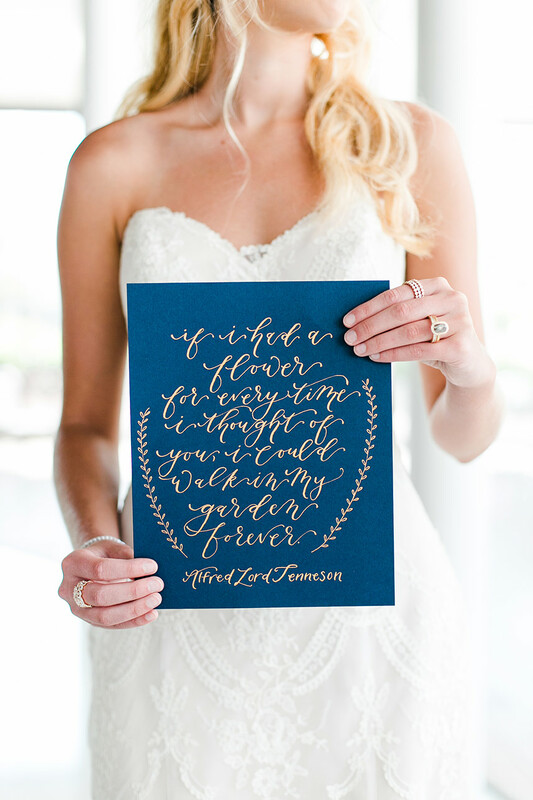 Atop the table lined with cascading florals by Emerson Events, Paper + More created the menus and invitations suite coupled with beautiful calligraphy elements by Rachel Kathryn Designs. 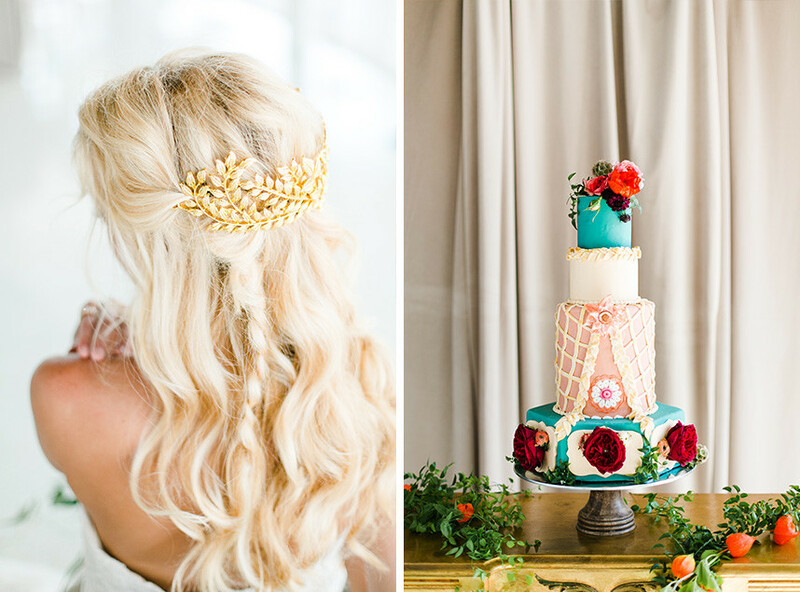 Brown Egg Bakery provided the finishing touch with an ornate cake encompassing the European vibes. 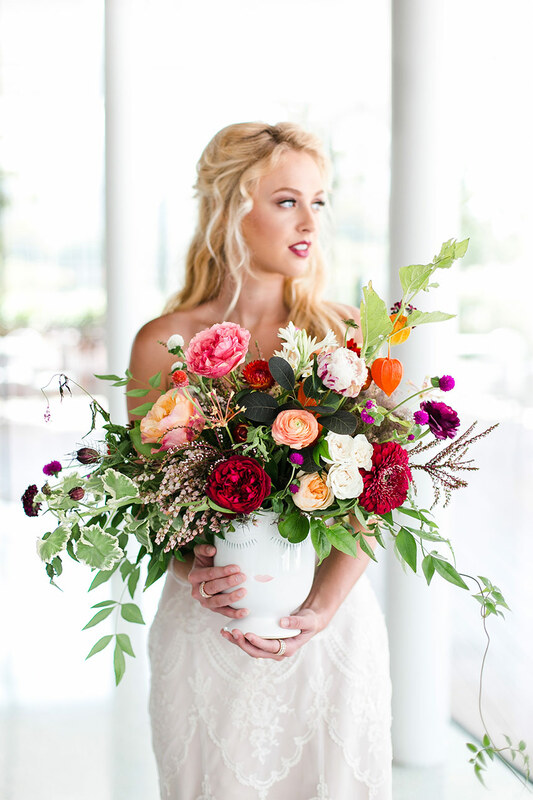 Dewberry Cinema was behind the scenes capturing some awesome video alongside photographer Aubrey Marie Photography. 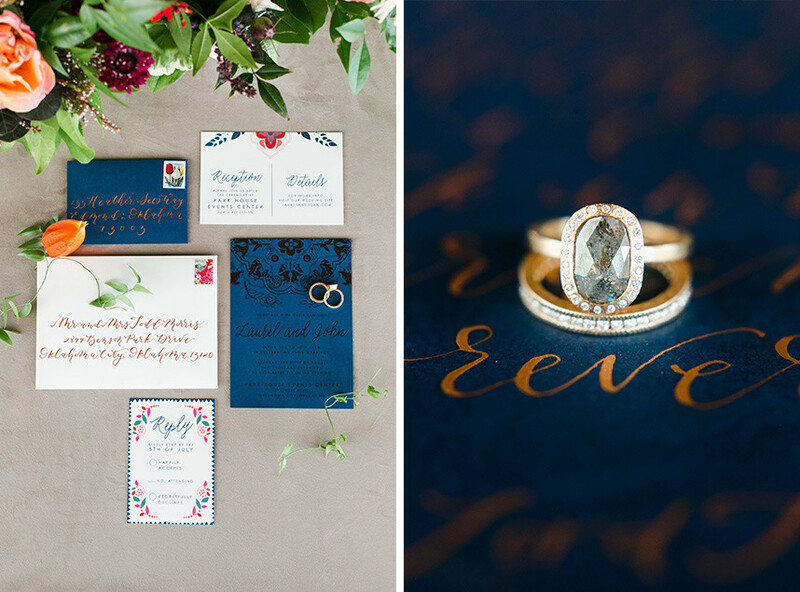 Be sure to press play above – we’re feeling all the romance from this incredible shoot!